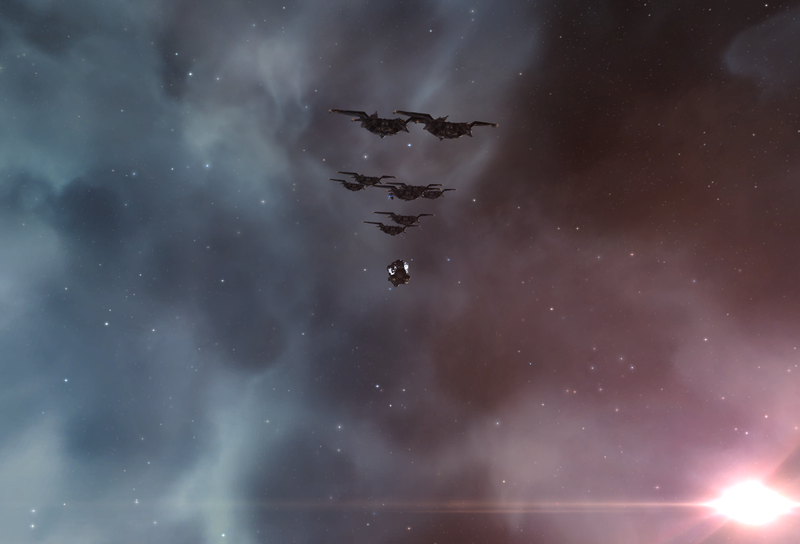 A fleet of Golem landed and started to jump through. Huh. I have no idea what they are for but there they were. So, I took their picture too. Then I waited for the Bowhead to land and this time look at worked because I wasn't cloaked (I guess?) and I got the above picture. 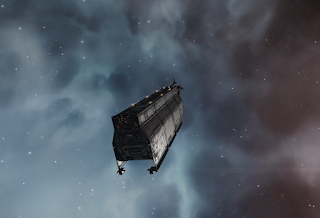 The things that ones sees in high sec. What a crazy place. With that sort of flotilla, it would be the immigration of Incursion pilots moving to the next area of Sansha site. It is a contributing reason to my choice of Logistics for those (biannual) times I join a fleet. I think that was me...I saw a brief bit of text "Wandering Rose", before it disappeared with the firing of a gate. Confirmed incursion migration. That's my favorite thing about high sec: people can more or less fly whatever they want to, so they do, so you see all kinds of interesting stuff.